Santa Cruz is undoubtedly the quintessential California beach town, awakening nostalgic memories of summers past and inspiring a new generation. Some of the most sought after homes in the country are the one of a kind ocean front homes here in town. The views at all times of the day are stunning and unparalleled. But while Santa Cruz is the classic spot to dig your toes into the warm sand and soak up the sun, the fun only begins at the beach. 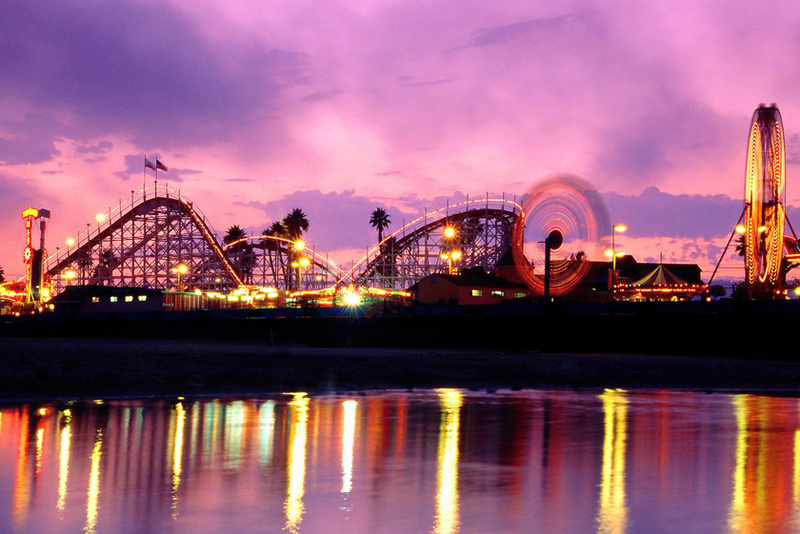 Santa Cruz Beach Boardwalk. The legendary Boardwalk features the Giant Dipper, a vintage wooden roller coaster that has thrilled visitors for over 90 years. Seventy-three hand-carved horses prance proudly around the famous Looff Carousel, built in 1911. Seymour Marine Discovery Center at Long Marine Lab. This renowned research facility, affiliated with UC Santa Cruz, features aquariums and marine exhibits. Ms. Blue, one of the world’s largest blue whale skeletons rests adjacent to the facility. Santa Cruz Wharf. The Santa Cruz Wharf celebrated its 100th Anniversary just last year. Stretching out a half-mile into the waters of the Monterey Bay, the wharf is lined with shops and restaurants. Santa Cruz Surfing Museum. Housed inside the Mark Abbott Memorial Lighthouse, this diminutive museum chronicles over 120 years of surfing history in Santa Cruz. Just outside sits a plaque donated by the descendants of Hawaiian royalty who brought surfing to the mainland. University of California at Santa Cruz. Sitting atop a sprawling hillside, the University’s performance halls, galleries, arboretum, and trails are all open to visitors. Downtown Santa Cruz. Anchored by a clock tower, this lively town center features pedestrian-friendly, tree-lined streets populated with boutiques, art galleries, and sidewalk performers. A vibrant weekly downtown farmer’s market and a monthly antiques street faire add to its charm. In the fall, bring your binoculars to Natural Bridges State Beach, when thousands of monarchs spend their winters in a protected eucalyptus grove. Take in one of the best views in town on a bluff overlooking Downtown Santa Cruz where the last original building of the Santa Cruz Mission stands. 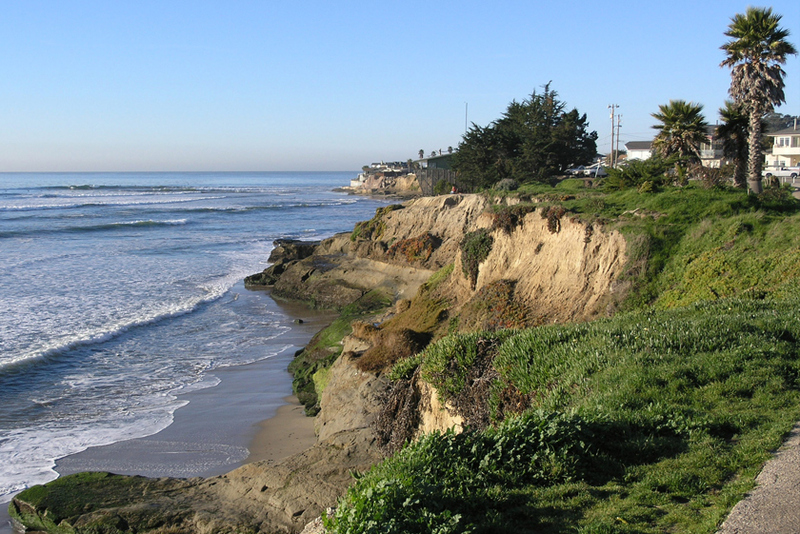 Explore West Cliff Drive, a scenic three mile path between Natural Bridges State Beach and the Santa Cruz Wharf. Stop by the Monterey Bay National Marine Sanctuary Exploration Center, which features dynamic, ocean-related exhibits. Public murals and artwork accentuate downtown’s cosmopolitan flavor, including the bronze sculpture of musician Tom Jefferson Scribner playing the musical saw, which greets visitors on Pacific Avenue.